The new gTLD program allows registries broad, unilateral discretion to upcharge for premium domain names and to reserve others outright. Brand owners and registrars alike find registry premium and reserved domain names frustrating and confusing. Please join MarkMonitor new gTLD experts Brian King and Sherry Hildebrand as they discuss our experience with premium and reserved domains within the new gTLD landscape. 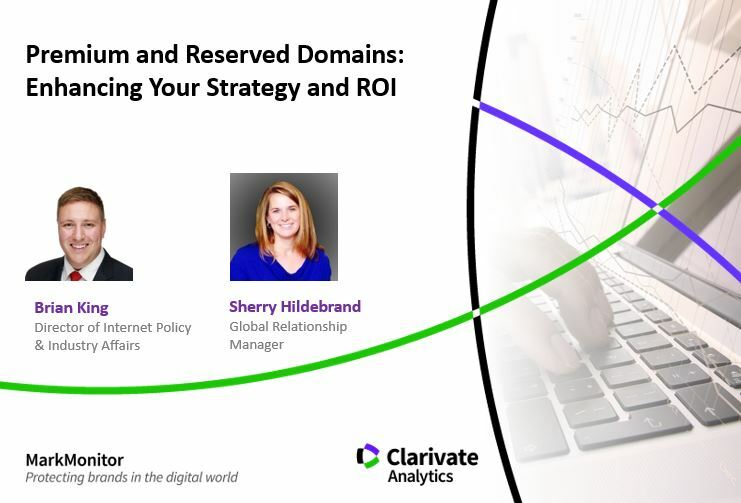 You’ll hear about how registries view premium and reserved domain programs as well as effective strategies on navigating this new landscape. Please complete this form below to view the webinar Premium and Reserved Domains: Enhancing Your Strategy and ROI.